Saigon City Tour on motorbike in the morning will take customers around Ho Chi Minh City to see the sights and sounds of Saigon as the city wakes up! We put together the best Saigon City tour for someone visiting Ho Chi Minh City who wants to see it all!! The Saigon City Tour will focus on providing a variety of what Ho Chi Minh City has to offer including sights and local areas during a motorbike tour of Saigon. From Beautiful French Architecture to local alleyways where Vietnamese families work, live, and play our Saigon City Tour has it all. Saigon City Tour has two tour times, how is the Morning Saigon City Tour different from the Afternoon Saigon City Tour? The Saigon City Tour at different times are virtually the same tour. The inability to access the inside of the Notre Dame Cathedral during the Afternoon Saigon City Tour is about the only difference. Explore some French Colonial Sights in HCMC, including Eiffel’s Bridge, The Notre Dame Cathedral, and The Central Post Office. Sightseeing in Ho Chi Minh City at its best. After the sights we will walk through a local wet market to experience what everyday shopping is like. This is not a tourist destination and is the Unseen Saigon experience. 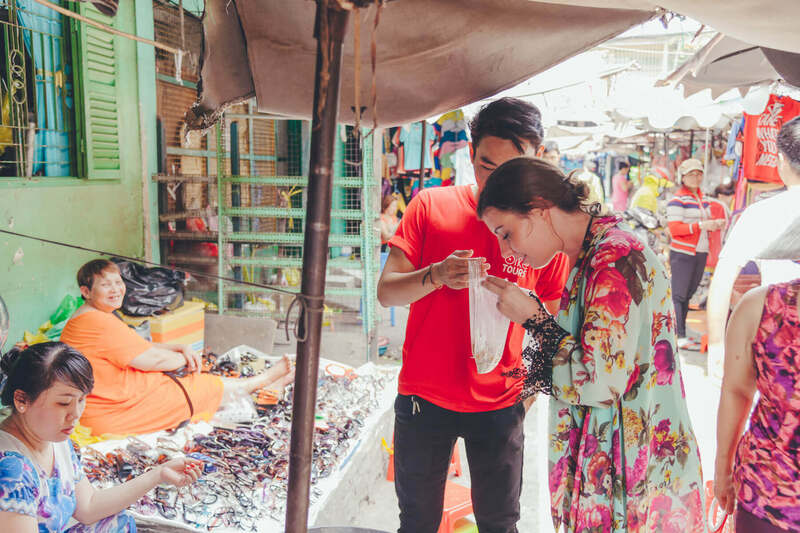 Experience Cho Lon(Saigon’s China Town) by diving into the back alleys to learn about the history of these streets and why they were all so important. Visit one of the oldest Chinese Assembly Halls in China Town. Experience what a visit to the temple is like for a local Buddhist living in Ho Chi Minh City. What's included on the Saigon City Tour? Saigon City Tour has different times, what is the difference between the Morning Saigon City Tour, Afternoon Saigon City Tour, and the Night Saigon City Tour?? Our morning saigon city tour, afternoon saigon city tour, and night saigon city tours are currently 50% similar to one another. Each Saigon City Tour offers something different while the areas that we visit will normally be the same. This is because each saigon city tour visits around 5-7 districts. 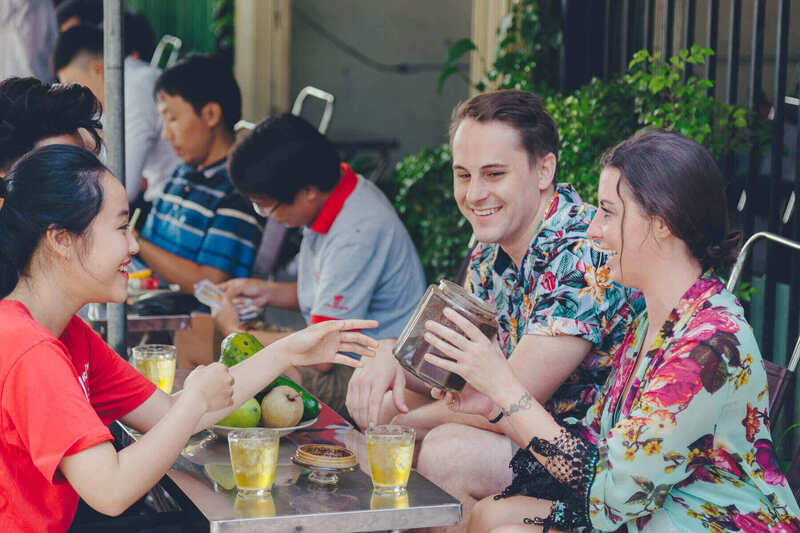 If you are looking to book multiple tours we recommend booking different types of tours an example would be to book a Morning Saigon City Tour and then a Saigon Food Tour. This would give you the chance to have two very different experiences of Vietnamese Culture. What is the difference between the Saigon City Tour and your Vietnam Food Tours? Probably our most frequently asked question about our Saigon City Tour, as many people do not understand the difference between the Saigon City Tour and the Vietnam Food Tours we offer. The biggest difference is that the Saigon Food Tour is focused on experiencing Vietnamese Cuisine. 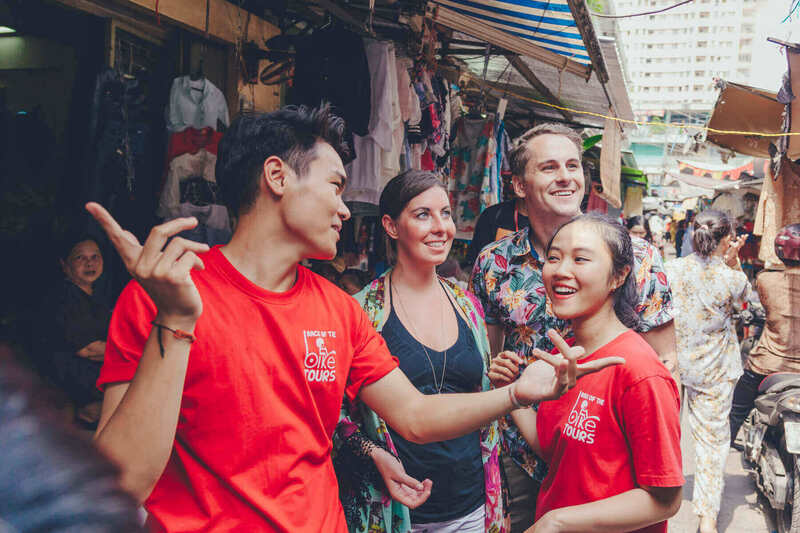 The Saigon city tour is focused on seeing the a large portion of Ho Chi Minh city while learning about the culture, history, and current life style of local Vietnamese. The Saigon City Tour has much more time riding on the motorbike and seeing some of our favorite Ho Chi Minh City spots and activities in Ho Chi minh city that we think are interesting. On the vietnam food tour the motorbike is the means for us to travel from vendor to vendor through ho chi minh city while making our way through our Vietnamese tasting menu. If you are interested in food then you should book a food tour, if you are more interested in riding the motorbike through Ho Chi Minh City and seeing Saigon then you should book a Saigon city tour. Taking a Saigon City Tour and a Saigon Food Tour throughout a single day is also highly recommended for two very different experiences. What is the name of your Saigon City Tour? Saigon City Tour has been in operation for how long? Our Saigon City Tour aka Heartbeat of Ho Chi Minh City Tour has been operating for 7 years. We believe our Saigon City Tour is the best option for people wanting a quick tour giving them a great overview of Saigon culture and sights. It goes along way to know that our drivers are not only safe but great in customer service as well, giving you a really speciall experience in a short amount of time. Saigon City Tour will have Museums as locations during the tour? Museums are an excellent way to explore a cities history, but we do not believe it is the best use of our time on a motorbike tour. So we choose to leave Museums off of our Saigon City Tour. Is your Saigon City Tour only a Ho Chi Minh Motorbike Tour? Saigon City Tour compared to "A Taste of Vietnam" Tour, What's the difference? Saigon City Tour compared to the "Chef Tour", Whats the difference? 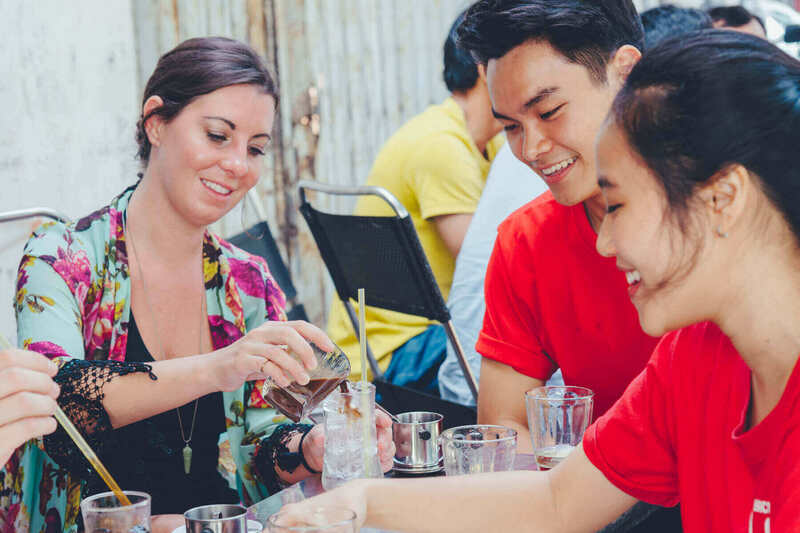 The Chef Tour is a private food tour that lasts for 5 hours, the Saigon City Tour aka Heartbeat of Ho Chi Minh City Tour does not feature any food and it is also a group tour which means other guests who book this tour on the same date and time will be in your group. Saigon City Tour is a History tour? While we do provide some interesting historical information at some of the locations, we do not consider our Saigon City Tour to be a history tour. The Saigon City Tour is more of a cultural tour experience that does not focus too much on providing long historical scripts. Saigon City Tour during the rain? Is it possible? Yeah, absolutely. We feature very few days that are overcast for long periods of time, but even on those days our Saigon City Tour still operates as normal. We are not able to make the 8:30am-12:00pm time frame for the Saigon City Tour, is there a private Saigon City Tour option? Absolutely, Please just contact our wonderful office team at info@backofthebiketours.com to discuss what time frame you are interested in and we can get your tour itinerary and time frame worked out so you can get the Saigon City Tour experience you are looking for. How much more expensive is a private Saigon City Tour? The price per person for private Saigon City Tour is $62. Can we drive our own Motorbike on the Saigon City Tour? 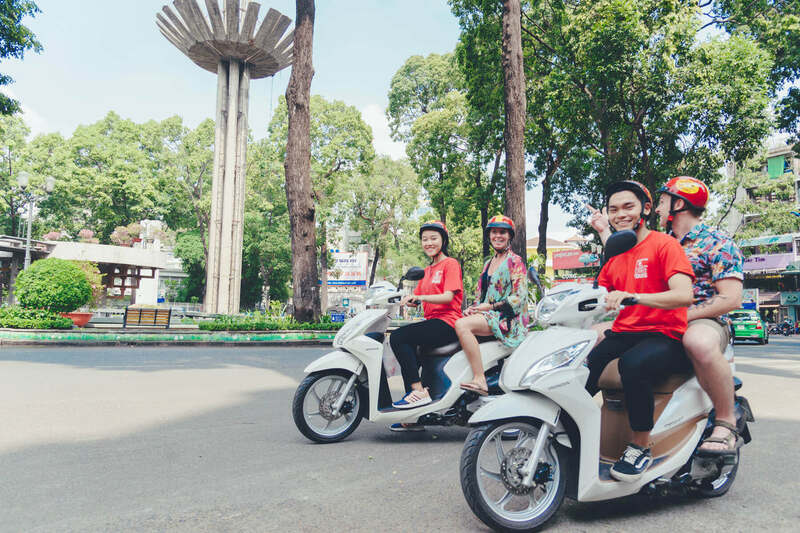 We have had this request in the past, but we feel more comfortable only letting customers ride on the back of the Motorbike during our Heartbeat of Ho Chi Minh City Tour. Watch our Heartbeat of Ho Chi Minh City Tour! Our Heart Beat of Ho Chi Minh City provides a one-of-a-kind, authentic Saigon Experience! Explore the sights of Ho Chi Minh City early with our Heartbeat of Ho Chi Min City Tour. Experience how the city comes to life after the sun rises. You will zip around the waking up city on the back of our motorbike driven by our English speaking guides. This cultural and historical tour includes stops at Central Post Office, Thien Hau Temple, and a Local Hidden Wet Market. Along the way you can sip Vietnamese coffee and taste a variety of tropical fruits. Hop on the back of the bike and experience our Heartbeat of Ho Chi Minh City Tour. All prices are inclusive of all stops, a fruit tasting, and drinks. This Motor Bike Tour of Ho Chi Minh City was fantastic! My teenage son (17) thought it was the best thing we did in a week in Vietnam and I have to agree with him. As a sales rep on the road in the US; I found the Vietnam Motorbike Culture fascinating. This tour gave us an opportunity to experience it firsthand. While I would never ride a motorcycle in the States; I had no problem or concerns doing this tour. Both Tinh and Nhi were great drivers and wonderful tour guides. They were personable and spoke English very well. We got a great City Tour and had a great time with them. I think this is the best way to see HCM. Excellent Tour! Informative and FUN! I heard about this tour through trip advisor and youtube. What you read and hear about this tour is all correct. This tour is AMAZING! So much fun and so informative about the city and culture. I booked a morning city tour with them in July and I’m so glad I did. Riding in the scooter and going through the crazy traffic that is Saigon was an experience to remember. Not once did i feel unsafe with my drivers Phuong and Tuong ( i hope i spelled your names right ). We visited a few places and it was all beautiful and fun. The main tour guide, she was very informative and fun. I really enjoyed listening and learning from her. I would definitely recommend this tour to anybody going to saigon. This is a must. Absolutely memorable and fun! I want to give a shout out to my drivers Phuong and Tuong (i hope i spelled their name right). They were so energetic and easy to communicate with that I felt very comfortable riding in the scooter with them. I’m sure all of the guides are awesome too but I’m very happy to have met both of them. They showed me and my wife an amazing time. They are wonderful people to talk to and I learned a lot about the people and culture of saigon/Vietnam through them. Thank you two so much! I also want to the thank the rest of the staff as well as everyone was super nice and friendly and created a vibe where tour guides and tourists felt like one big family. Wish you guys the best! It was exhilarating to see the city on a scooter. It was my first time on a scooter but I felt perfectly safe on the back of Ms Thuong – a lovely uni student. The tour not only took us to key beautiful buildings in district 1 but further out districts where local Vietnamese live. Really interesting insights. I chose this tour because it is owned by chefs and even tho this wasn’t the food tour we were taken to have delicious Vietnamese coffee (super yummy with hint of chocolate), refreshing coconut at a wet market, exotic fruits from fruit market, and my fav beef pho at Pho Le. Pho Le was on my list of places to try. Definitely recommend this quality company – a scooter tour is a must to see the real city and the friendly Vietnamese people! My boyfriend and I stayed in Ho Chi Minh City for three days so we booked the Morning City Tour to see as much of the city as we could. We were beyond impressed, and absolutely recommend this to everyone! We were lucky and got a private tour as we were the only ones to book this tour for that morning. The guides were absolutely lovely and easy to talk to, and they were so enthusiastic about the city. They took us to places that we never would have known about and shared their local knowledge. The highlight was eating Bún on the side of the ride cooked by a lady with years of experience. I totally encourage everyone to book a tour, you won’t be disappointed! I usually don’t love group tours, but because I was only in HCMC for 3 days decided that Back of the Bike’s City Tour would help me maximize what I could learn about the city in such a short period of time. Back of the Bike came highly recommended by friends and did not disappoint. It’s the perfect format because it’s both an individual and a group tour, since each person has her/his own guide in the form of a very friendly and knowledgeable driver who also makes sure at the various stops that we are set with everything, from water to answers to any and all questions (and in my case even helped me buy a couple of things). After a last-minute booking (with very quick response from the administrator, even over the weekend), my guide picked me up at my hotel and took me to the first meeting spot, a coffee place where we made our own ca phe sua da, which hit the spot. Each of the five guides that day and the photographer were wonderful, very smart and engaging, and contributed to a great atmosphere. The tour was informative and also super fun—my only regret is that it didn’t last longer than 4 hours! The pace is relaxed and this is more about having plenty of time to become informed on anything you might want to know about HCMC or even Vietnam rather than packing in 10 attractions in that timeframe. The coffee stop at the beginning and lunch stop at the end were both phenomenal from a food/drink perspective and we got to taste a wide range of fruits at the market, so added to the cultural visits it made for a very well-rounded tour that suited my interests. I had been to the cathedral and post office by myself the day before so was wondering if it’d be boring to go back, but because I learned new things about their history thanks to the tour and overall was having a good time it enhanced my knowledge instead. And the pagoda we visited is stunning. And the mini brochure they give at the end with a list of recommended businesses and a map to help us find them was very useful—ended up doing most of my souvenir shopping at two of their recommendations, which were much higher quality than the markets, and more original too. A tour with Back of the Bike will definitely enhance one’s experience of HCMC and I hope to be back to Vietnam soon enough for another one. I only had 1 day in Saigon, this last weekend – My 2017 – and booked a city morning tour with the Back of the Bike team. What a great morning. They picked me up from my hotel promptly at 8am, took me over bike safety and then off to meet the other people joining the tour at a local coffee place. After introductions we were introduced into how to properly brew a Vietnamese coffee, at 8 in the morning this is a great start to the day. Beats a $5 Starbucks. Then it was off on the tour, the drivers are excellent. Extremely safe and conscious of my safety all the time. As we drove around the city I had a constant stream of information about the various sites from my driver/tour guide. She took me through the real life of Saigon, through the narrow alleys and showed me real life in a bustling city. We stopped at the Notre Dame Cathedral and the Central post office and then we took a walk through a local wet market where we could observe how the local people buy their daily food and goods. They bought us a number of different Vietnamese fruits for us to try. This is the stuff you never get to see if you go with a standard tour guide. They’ll take you to the tourist sites but you’ll never get a real feel for the city and its people. After the wet market we moved on to lunch. Once again this was a very local place, great food (with AC no less, which was very much appreciated) and the Back of the Bike team took us through the various spices, how the food is cooked etc. The food itself, Vietnamese beef soup, was really good. Throw in bean sprouts, mint and other spices along with a cold beer and your good to go for the day. My guide then dropped me back at my hotel in time for me to grab a taxi back to the airport. When you’re on the bike the last thing you need to be thinking about is taking pictures. They also have a support driver that is there in case of problems and acts as a picture taker. Less than a day after the tour I have an email with a link to all the pictures he took. If you visit Ho Chi Min (Saigon) and want to see the real city and its people then make sure you contact the Back of the Bike team. Everything from the booking, communication, the tour and follow up was outstanding. They have uploaded video’s on you tube on personal safety in the city and how to avoid taxi scams at the airport – I’d suggest you view them as they certainly helped me get to my hotel with zero hassle. Your drivers/guides have excellent English skills and are wonderful hosts. They are knowledgeable about their city, people, history and have a superb customer service mindset rarely seen these days. I was not expecting the quality of the tour I received. It was just me and the guide and photographer. took the day tour around the City, I learned so much we stopped for coffee (love), fruit, the market, little norte dame, had lunch. To top it off I received about 70 pictures of my day and the tour! IT was the best money spent! Definitely would recommend this tour! This was such a fun tour and I recommend it highly. The back of a motorbike is a great way to see the city, the guides are GREAT, and the food is delicious. The guides will tell you about the city, and will tell you a lot about what you are eating. I would do it again, it was so much fun! The sweet tour guides took us around in their own motorbike so that we can truly experience the local bike culture. They were very informative and entertaining. At the end of the tour they gave us great recommendations on what places to go to in HCM. I recommend this tour to everyone! We loved our motorbike food tour and our three wonderful guides, Thao, Phuong and True. My wife, son, and I made our reservations several weeks before we arrived in Viet Nam as is recommended. Our guides were wonderful ladies who were so informative and kind, and made our evening incredibly memorable. We laughed, ate, learned, and cruised. The food was fantastic, and I mean REALLY FANTASTIC, and there is absolutely no better way to see Saigon than by motorbike. When you visit Paris you walk the Champs Elysees, when you visit Aspen and Vail you ski the slopes, when you visit Saigon get on the back of a motorbike and become part of the ballet on two wheels. I recommend Back of the Bike Tours to anyone looking to elevate their travel experience in Saigon, and anyone who enjoys really great food. This outfit is professional and high quality in all ways. Want to meet some locals, get an overview of the city and see some sights? – this is the way to do it! A tour with this company came recommended by a 5 star hotel concierge as the best thing to do in the city when you arrive. He wasn’t wrong. We, a couple, did the city tour on a beautifully sunny Sunday afternoon. The Back of the Bike team were great – very friendly, helpful and knowledgable. You’ll join a larger group (assuming you haven’t gone for the private option), but you’ll have your own guide. We had two fun guides, one for each person, who went out of their way to ensure we had a good time and were looked after. 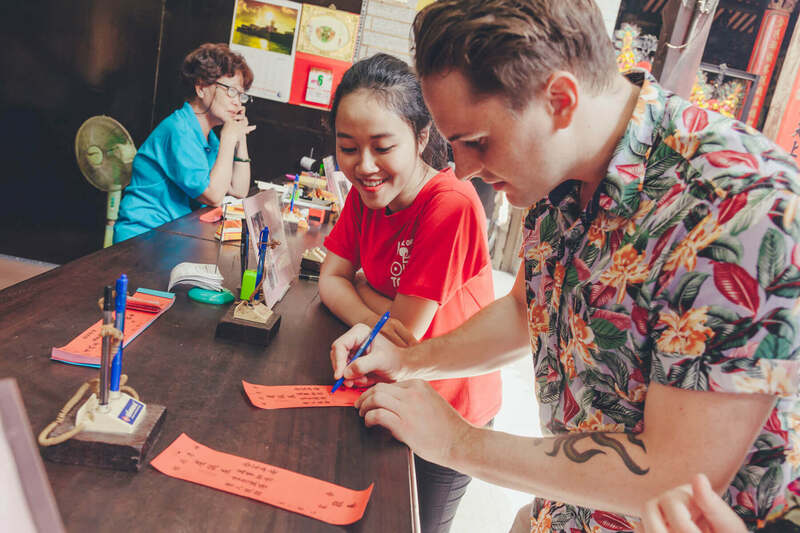 The highlight was chatting with them and learning more about their lives and Vietnam more generally, though you’ll also sample some tasty food and take in some key sights around the city, zipping down alleys and between the millions of other motorbikes on the roads. The team also have a dedicated photographer guide who takes photos of you on the bikes as you’re whisked through the city streets. A really great introduction to the city, it’s food, culture and, most importantly, it’s wonderful people. My wife and I were in Ho Chi Minh City for just ~24 hours at the end of our honeymoon. We decided to do the Back of the Bike City Tour due to the great reviews that it got on Trip Advisor. Needless to say, it did not disappoint. Tinh and Trang were our guides, and they were both phenomenal. They were quite knowledable about the city from a cultural and historical perspective — we learned a ton about Ho Chi Minh City in a very short period of time (picked up at 8:30am and back at noon). In addition to this, getting onto the back of a motorbike for a city tour was a TON of fun! It was our first time on motorbikes but we felt very safe the entire time. It was an experience to remember and it was great to be part of the city as a local would. We definitely recommend this tour! My friend and I loved our Back of the Bike Tour. We each had exceptional drivers, who were fun to talk and dine with. This is a great way to learn about the people and culture of Saigon. The food stops were delicious and the advance prep work that goes into finding the places, securing the tables, ordering the food, etc. is amazing. Everything was perfectly orchestrated. We were a little nervous to ride on the motorbikes at first, but after the first couple of minutes, our confidence in the drivers grew and we wish the ride would have lasted longer! A must do in Saigon for sure! We weren’t sure if the motorbikes would be appropriate for our children aged 7, 8 and 10 in the crazy traffic of Ho Chi Minh City, but we were SO happy with the tour and the boys say it was a highlight of their life, let alone this trip to Vietnam. We had one guide/bike each – our 7 year old could have shared with one of us but he loved having his own guide and bike. The guides were lovely, fun and professional and the children had so much fun (as did we). They were very attentive to the children’s needs and we got to see some great parts of the city that we couldn’t have seen without guides (such as the wet market). There is no better way to see Ho Chi Minh city – we highly recommend this tour. They had a separate guide who took photos for us on his camera (emailed to us a few days later) to ensure the safety of our cameras and our children, it was so well organized. We would return for another tour in a heartbeat. The best way of trying local food with very friendly young knowledgeable tour guides. A highlight of our trip to Vietnam!! Highly recommend Back of the Bike Tours! When my boyfriend and I checked in at our hotel in Vietnam, Back of the Bike Tours was exactly on time. We met Xuan, Thien, and Nhi- they are all SO amazing and great tour guides. It felt as if we all already knew each other and we’re long time friends during the tour. They showed us around on motorbikes! We did a mixed private tour (attractions + food). SO worth it – the places they took us were from a local perspective and we loved every minute of it. They even took pics of us while ON the motorbikes! Everyone was so sweet and caring, they made us feel right at home in a new place. When we tried the different dishes they gave us insider tips on how to eat the food and even what type of spices and veggies they were cooked with. We are so happy with our first day in Vietnam and highly recommend back of the bike tours if you want to get a real and amazing treat in exploring this wonderful city.